Cello Bazaar, the cello-centric monthly music series founded and directed by BAASICS.3: The Deep End performer and presenter Hannah Addario-Berry, is named after its principal venue, Bazaar Cafe. The Richmond District coffee shop and event space is not far from Hannah's home, and Selene and I met her there on a particularly warm San Francisco morning to discuss her contribution to The Deep End program. Hannah describes herself as "a fierce advocate of the music of today," and, like Selene and me, she is passionate about exposing a wide audience to that which she cares about; in her case, that's music and food. Along with Cello Bazaar, Hannah founded and runs Locaphonic, an organization dedicated to "connect[ing] Bay Area residents with our local musicians, food, and culinary artists, promoting sustainable livelihoods for artists and farmers and uniting our community through food and music." I won't write much about Hannah's The Deep End performance here (it should be experienced without preconceptions), but we expect it will be a stirring representation of a mental disorder, and quite unlike any other component of program. 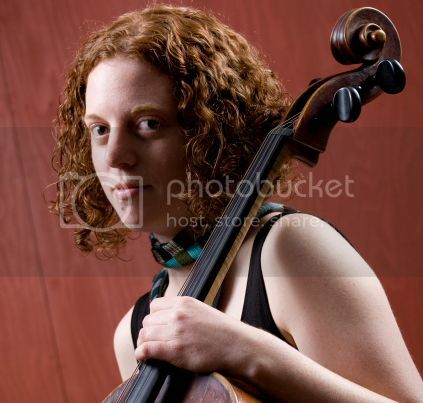 Hannah will perform György Ligeti's "Sonata for solo cello." The first movement will open the program; the second will immediately follow intermission. It's important that BAASICS programs are as poignant as they are informative and entertaining, and we're thrilled to have Hannah's talents and voice on board.